I think there’s an unspoken understanding about any food that’s stuffed with anything. Most people would agree that the end result is always awesome. I served this with the lobster tails I made recently, which is funny because I recently told someone I always have and always will only serve stuffed mushrooms as an appetizer. Hmmm. Never say never I guess! Preheat oven to 350 degrees. Saute sausage with oregano in a skillet until sausage browns. Break meat up with a fork while cooking. Remove from skillet and transfer to a large bowl. Let cool. Mix grated cheese, Worcestershire sauce and garlic powder into sausage. Add cream cheese and combine. Season with salt and pepper and add egg yolk. 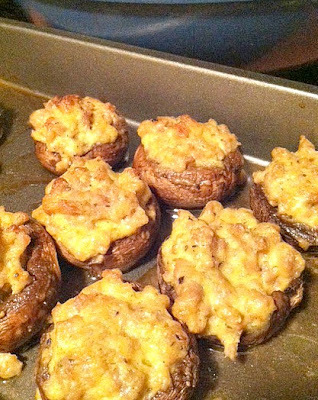 Bake for around 25 minutes, until tops are brown and mushrooms are tender. 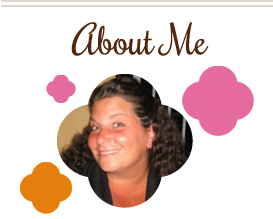 This entry was posted in appetizers, cream cheese, mushrooms, pork, side dishes. Bookmark the permalink. These look delicious! I have to make them in small batches or when my husband isn’t home. But I love stuffed mushrooms! These look delicious! Love the new look here! I need these to travel…..is there any way to bake them in advance and warm them on site? Or is that a no-no? Kendra, yes, bake them at home and then reheat when you arrive at your destination…no reason why that wouldn’t work!